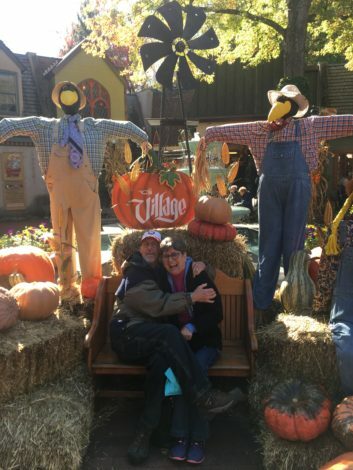 When we were planning our Tennessee swing through the Volunteer State, we also planned to meet up with James and Janice Kelley of Hendersonville, TN. Our rendezvous location was Townsend, TN, a small town outside the “quiet” entrance to the Great Smoky Mountains National Park (GSMNP). James and Janice stayed in a little cabin at our campground while Barb and I were in the SaraLinda. We met for dinner, caught up a bit and talked about plans, which first included fishing… at least for James, Barb and me. James, Barb and I met the next morning and headed out to fish the Little River in GSMNP. We met our guide, Chad Williams, at the “Y” in the park where you either go toward Gatlinburg or Cade’s Cove. We had a great day of fishing in the park that’s chronicled in “Little River, Little Fish“. As you can see in the gallery, James had a great day catching beautiful, small native rainbow trout. Afterward, we headed back to the campground to hear how Janice’s day went and to head to dinner at the Trailhead Steak and Trout House in Townsend. Great dinner and lots of fish stories and laughs to share, especially of James’ “river dance” and swimming session. 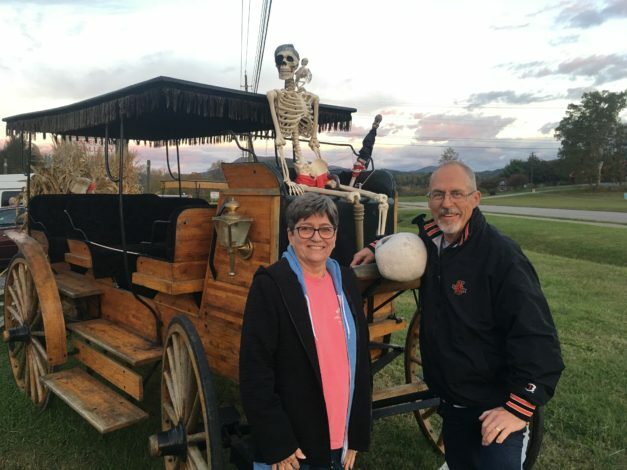 We even got a nice pic of James and Janice outside the restaurant with an old, spooky wagon. While day one was all about the fishing, day 2 was all about touring GSMNP and the area. We started inside the park, driving up to the Elkmont area which is rich with history, including the Appalachian Clubhouse pictured in the gallery above. In the early 1900’s, the Little River Lumber Company began promoting this area as a resort. A group of nearby civic leaders and businessmen created a clubhouse first as a sportsman’s club which morphed over time into a social club. Its members included the elite of Knoxville. 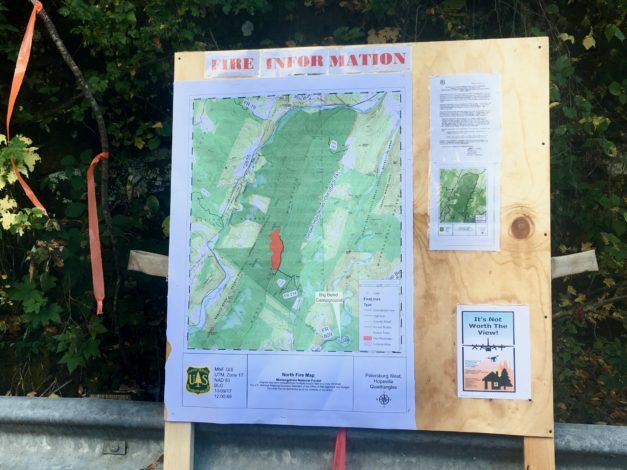 The lumber company not only logged the area around Elkmont and the clubhouse, but also provided train service for members to travel to and from the area. After we toured the Elkmont area, we slipped just outside the park into Gatlinburg. After having a huge brunch at the Pancake Pantry, which was hopping at 10:45 in the morning, we took a few moments to explore town. We visited some local stores before finding a nice spot for a quick Halloween/Fall pic in “the Village”. Next, we headed up the mountain above town to view the damage done by the fires of a year ago. You could still see the burned out homes, businesses and landscape and were amazed at how the fire jumped and moved about, scorching one spot before jumping over and ignoring others. We took a different route back into the park, touring Pigeon Forge (TN), home of Dollywood. The whole Gatlinburg / Pigeon Forge area reminded Barb and I of the Lake of the Ozarks area in southern Missouri. As you drove down the main streets of each town, you saw restaurants, theaters, t-shirt shops, mini-golf courses, go-kart tracks, taffy shops, and more. I’m sure both cities are bustling in summer with families, but this was late October and it was an “older” crowd, touring the area and enjoying the fall colors blanketing the mountains. Our next stop was the Cade’s Cove section of GSMNP, one of the most visited spots in the park. This valley was a thriving community in the early 1800’s with churches, mills and many families residing here. Cade’s Cove contains more historic buildings than any other area of GSMNP. Wildlife were abundant here as well, as we saw numerous turkey, deer and even a small bear jam (although the bear was already out of our sight). When we got back to Townsend, we grabbed ice cream at the drive-in restaurant next to our campground, sitting out in the sun to keep warm. Janice then led us to the river behind our campground causing James to grab his fly rod once again and yes, catching perhaps the smallest fish of the trip… maybe it was 2 inches long? Maybe. Afterward, we enjoyed dinner at a local Mexican restaurant, which for Tennessee, was actually pretty good. 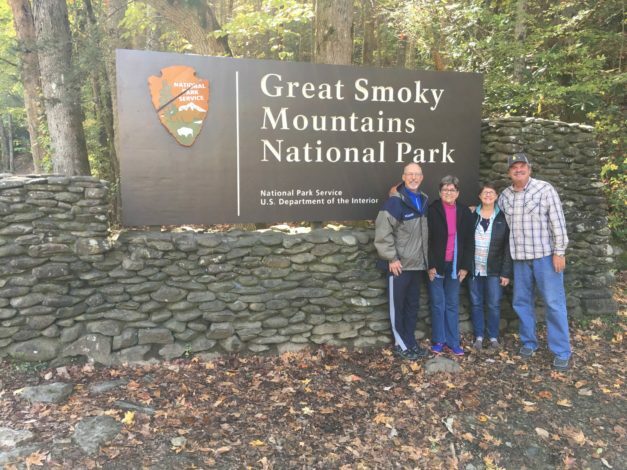 Our last morning consisted of packing up, getting the SaraLinda ready to roll, and making a drive to the entrance to GSMNP for our obligatory picture in front of the park sign. We had such a great time with James and Janice and are already looking forward to our next adventure with them. This area of Tennessee is one we’ll be returning to visit again… great fishing, beautiful scenery and most importantly, great friends for sharing it all. Thanks James and Janice! We’ve heard stories of the South Holston fishery; its numbers and size of the fish that reside there. We met our guide for the day, head guide and namesake of the Champion Outfitters & Guide Service, Matt Champion, on a cold morning at the shop. The fog was shrouding the river and keeping the temps in the low 30’s. While we met at the shop at 9am, we really didn’t leave until 10, hoping to let the early risers head on down the river, and we’d have the river to ourselves. It turned out, most everyone thought it was too cold to start early, so when we arrived at the boat ramp, we found several drift boats dropping into the river. We waited our turn, and off we went. Matt decided early on that we’d float the upper section of the river twice, taking a break for lunch in between. We started landing rainbows even as Matt told us it was about a 70/30 split between browns and rainbows in the SoHo. 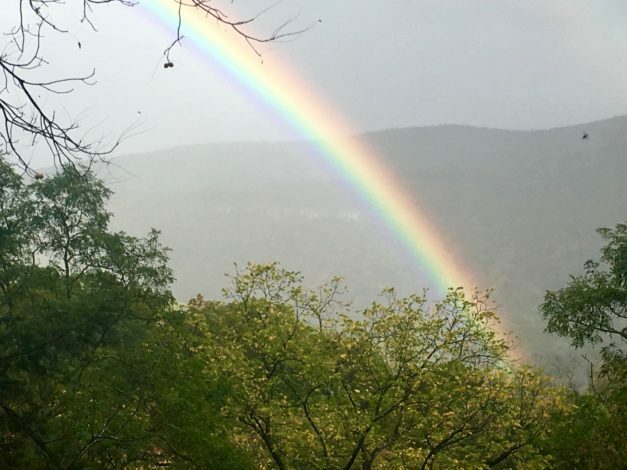 While the morning produced about an equal number of beautiful ‘bows and brownies, the afternoon turned brown. The bite was definitely on as we landed browns consistently all afternoon. We had a great time on the river with Matt and landed more fish than we could count. At the end of the day, Barb and I both were nursing sore arms from fighting so many fish. 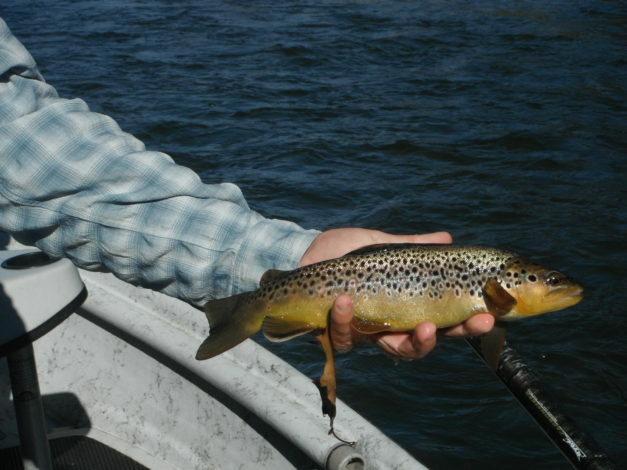 The South Holston is a fishery not to be missed. When you go, make sure to give the shop a call and ask for Matt…. you might get Matt Champion or you might get Matt “Scooter” Gwynn…. in either case, you’ll have a great time on one of the Bristol area gems, the Watauga or South Holston. 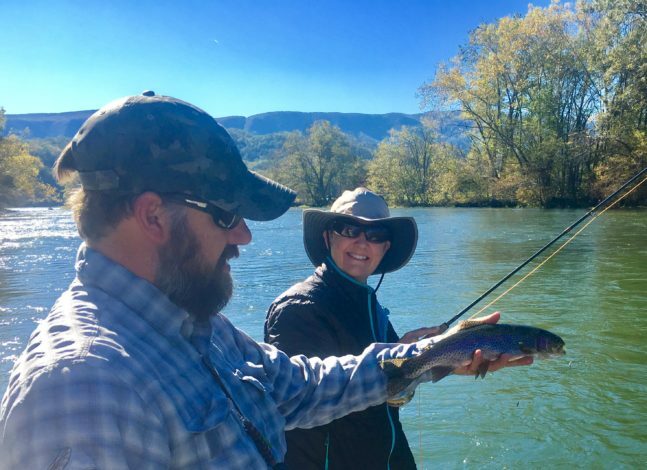 Our first stop in Tennessee brought us to the Bristol area, home of one of the most famous NASCAR racetracks, and, home of two of the TU Greatest 100 Trout Streams, the Watauga and the South Holston. Both rivers are tailwater fisheries with dams that generate power for the area. 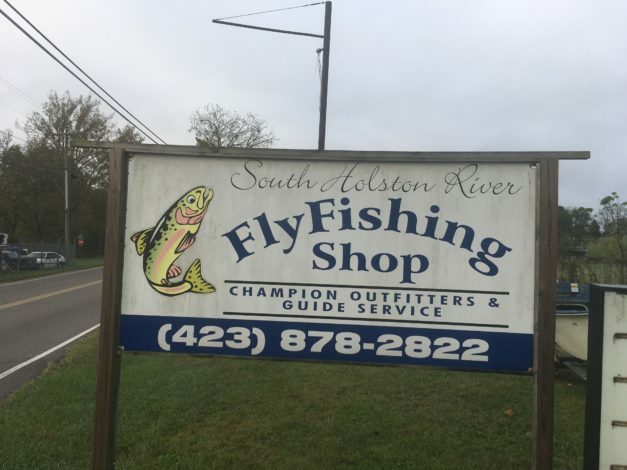 The scheduling trick for the gang at the South Holston River Fly Shop / Champion Outfitters & Guides was which river would be generating, and hence, pumping water downstream, that would allow us to best float the river on which day. Turned out, we hit the Watauga first. We met our guide for the day, Matt “Scooter” Gwynn, at the fly shop on a foggy morning and headed for the river. We put in at a spot where a couple of guys were trying to corral a bunch of leaves that had littered the boat launch. We didn’t realize that sight was a harbinger of things to come. We had a great morning fishing, catching several beautiful brown and rainbow trout. As we broke for lunch, we noticed the weather changing as the wind picked up and the temperature cooled a bit. The cooling was fine, but the wind began to blow even more leaves off the trees into the river. As we set out after lunch, you could see leaves not just on the surface of the river, but, up and down the water column as well. It was difficult casting and trying to keep our flies from hooking leaves. More importantly, it was equally difficult for the fish to even see our nymphs as they floated downstream among the leaves. Needless to say, fishing, or the “bite” as it’s called, turned off in the afternoon, but, we still hooked into a few fish. 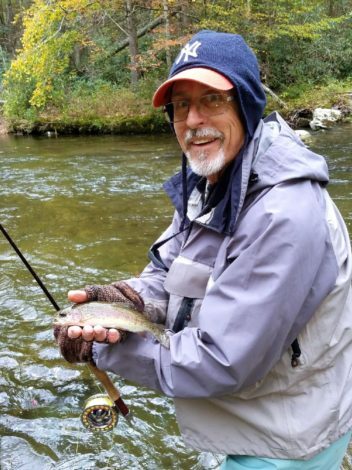 The Watauga was a beautiful river with high cliffs and lots of fall colors (and did I mention…. leaves?). We decided to try the GoPro in the truck “Guide Talk” with Scooter as we drove back after a great day on the Watauga. We hope you enjoy his insights on the river, fishing and tips for a great day. We had a dichotomy of water for much of this year, too much in the West and too little in the East. We endured record runoff in California which produced record flows in the streams. As we came to the East, the concerns changed to not enough water. This was true as we went Creek Stompin’ in WV and again as we fished in Shenandoah National Park. The one Virginia river on the TU list is the Rapidan River just outside Charlottesville, VA. 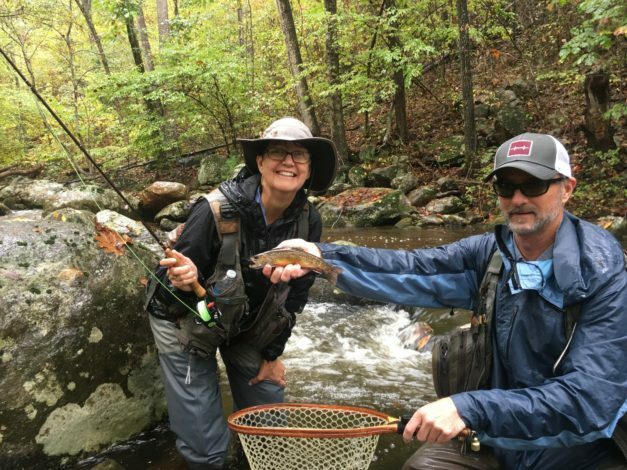 Normally, we fish with a guide the first day we’re in an area, but since we left West Virginia a day early, we made it to Cville a day early and decided to fish the Rapidan on our own before fishing it the next day with a guide. 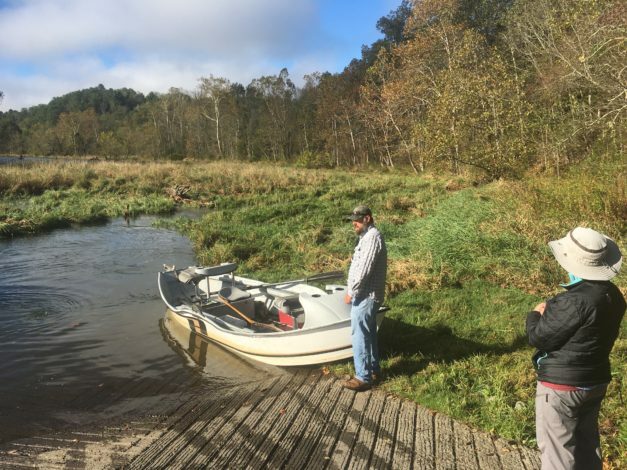 We stopped into Albemarle Anglers to check in and get some intel and flies to fish the Rapidan. There is actually a fly called the “Mr. Rapidan” which has bright yellow posts on top and a dark colored body. After getting some dries and droppers, we setup the SaraLinda in our campground and plotted our first day on the Rapidan. Before heading to the river, we took a drive up to Skyline Drive in Shenandoah National Park hoping to catch some views of the area. As it turned out, the mountains were shrouded in fog and mist. We could barely see the road in front of us, let alone any views of the Shenandoah Valley and surroundings. 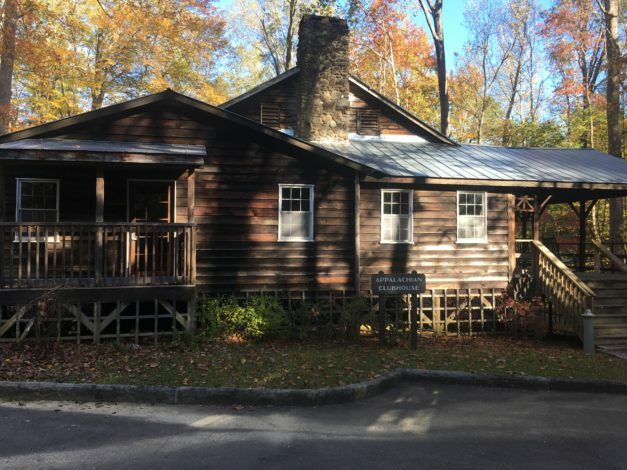 We thought about hiking a couple of miles to visit the Hoover Rapidan Camp in the park where Herbert Hoover would come to escape the heat in Washington DC and fish the Rapidan River. After having lunch at the Big Meadows cafe, instead of hiking to Hoover Camp, we headed back down to fish the Rapidan from the valley upstream. 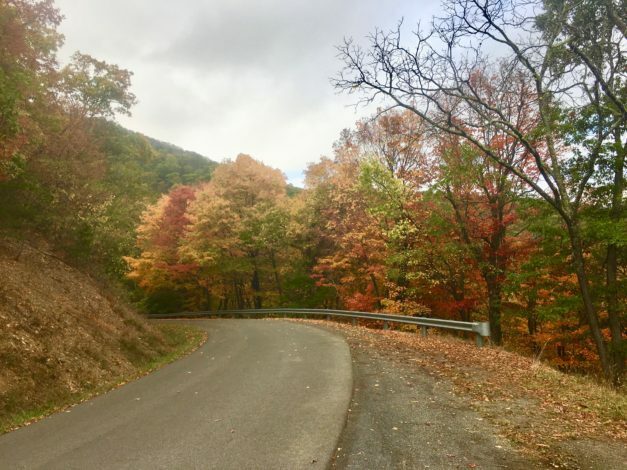 We drove out Graves Road to its end, parked the Subaru and began hiking upstream on the Rapidan trail. The river was on our right as we hiked up the mountain in the most oppressing humidity we’d experienced in years. We were soaking wet from me sweating and Barb perspiring. The fly shop had indicated we should hike about a mile before fishing so we’d get to some less pressured water. Because of the Hoover Rapidan Camp, more people come to fish the Rapidan for its historical significance. 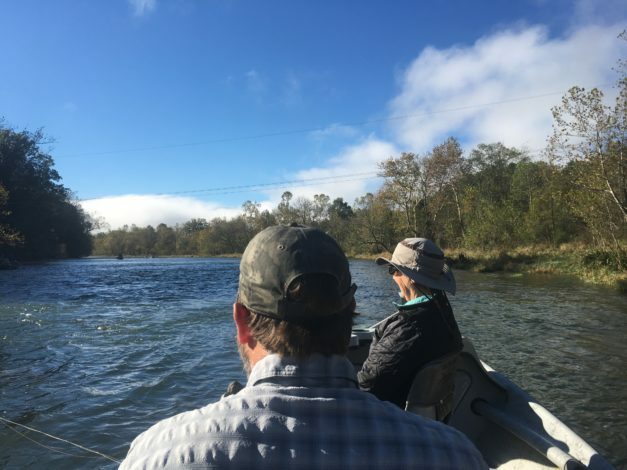 We found a few good holes, caught a few small fish and decided to head back, knowing we’d be fishing the Rapidan again the next day with our guide, Carson Oldham, of Albemarle Anglers. Little did we know at that time what was to come the next day. Carson met us at our campground, which was on the way to the river and off we went. 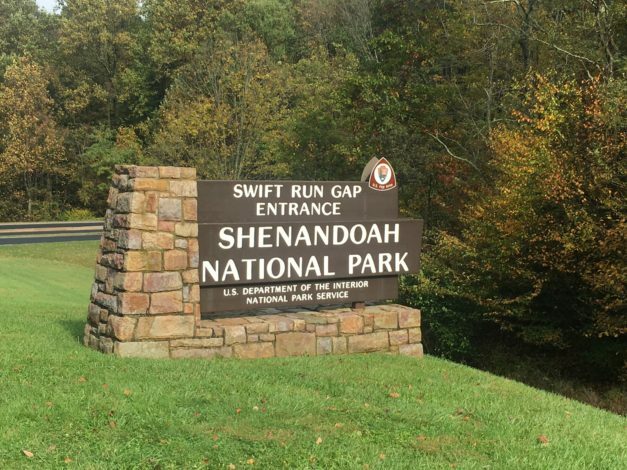 He’d forewarned us that the drive was up and over a mountain on a fire road to get to the upper stretches of the Rapidan. When we hit the gravel portion of the road, Carson noted how rutted the road was on the side. As we continued up the steep, gravel road, the ruts became much more pronounced, turning into large crevices in the road. We were having to travel about 3mph to avoid bottoming out the car but the road kept getting worse and worse. Carson was committed to getting us to the Rapidan’s upper reaches but we kept telling him it wasn’t worth busting the undercarriage of his car. He finally agreed with us, especially given we still had 10 more miles to go and at 3mph, well…. you can do the math on how long it would take us to just get to the river to fish…. and we knew we’d likely have to drive back out in a pouring rain. We still don’t know why the road was so torn up. Carson told us its normally a great road. So… what to do. Plan B took us to the Hazel River in Shenandoah NP and more creek stomping. We had a great time fishing with Carson on the Hazel, hiking upstream over rocks and boulders, fishing small holes for beautiful brook trout. It rained all day on us, but didn’t deter us from making it a full day fishing on the Hazel. 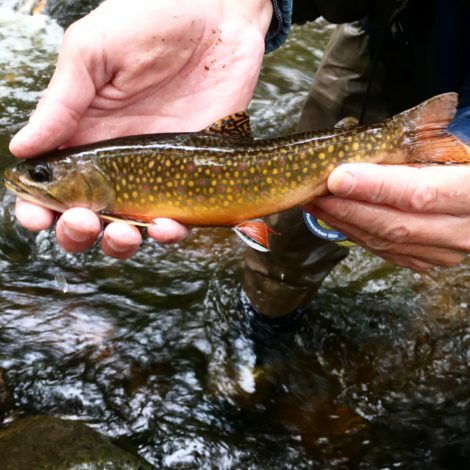 Carson told us there are even better brook trout streams in the area, so we’ll definitely be coming back to Virginia and Shenandoah National Park. 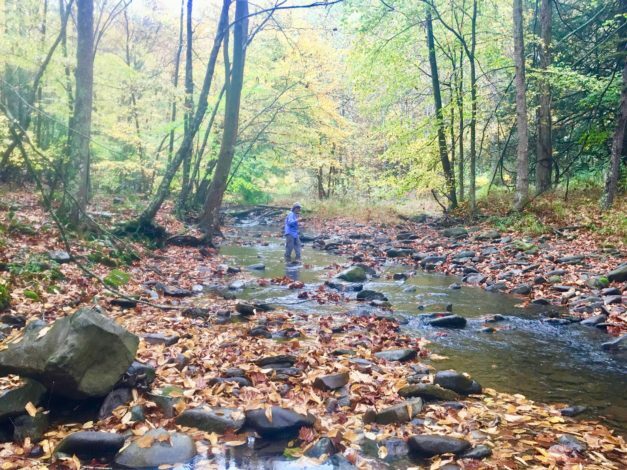 There are two streams in West Virginia that are on the Trout Unlimited’s Guide to America’s 100 Best Trout Streams, the Cranberry River and Seneca Creek. Last year we fished the Cranberry River, which proved challenging given we’d never fished the river and we had no guide. As we approached fishing Seneca Creek, we found ourselves in the same position, never seen it and no guides around. We started to wonder just why these two streams were on the list in the first place, but undaunted, we headed to Seneca Rocks, WV, to fish Seneca Creek. When we arrived in the area around noon, we talked with some of the staff at the Smokehole Resort where we were staying. They indicated that the water levels in Seneca Creek weren’t too good. In fact, the river running right behind the SaraLinda, the North Fork of the South Branch of the Potomac River, which Seneca Creek runs into, was incredibly low, a great indicator that Seneca Creek wouldn’t be any better. We also learned that there was a large fire in the mountain above us, with around 50 firefighters deployed and another 50-100 more firefighters on their way and would be checking into the cabins next to us. We hooked up the SaraLinda and decided to go checkout Seneca Creek, following the directions written in the TU book. 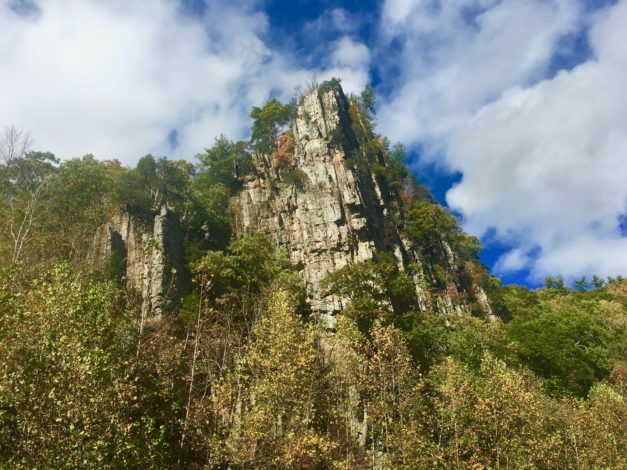 When we reached Seneca Rocks, we turned onto Highway 33 and drove until we saw White’s Run Road. We turned onto the road and headed up the mountain until we found the parking area next to the Seneca Creek trailhead. We were the only car there. We got out in a light drizzle, rigged up our 7′ rods and began hiking up the trail. The book said to hike up a ways before beginning to fish, but as we checked out the stream as we hiked deeper into the woods, there was not a soul in sight. After about 1.4 miles, we came to a spot where the trail crossed Seneca Creek. We stopped, looked up and down the creek, not seeing much water to fish. After walking another .3 mile further upstream, seeing no deep holes to fish, we came back to the crossing and waded in, deciding we’d find the deepest holes we could and drift a small stimulator through it. After trying this in 3 or 4 small holes, a small brook trout took the stimulator… we had a fish on Seneca Creek. We fished a bit more, but decided that the water was just too low to fish more so we headed back to the SaraLinda. 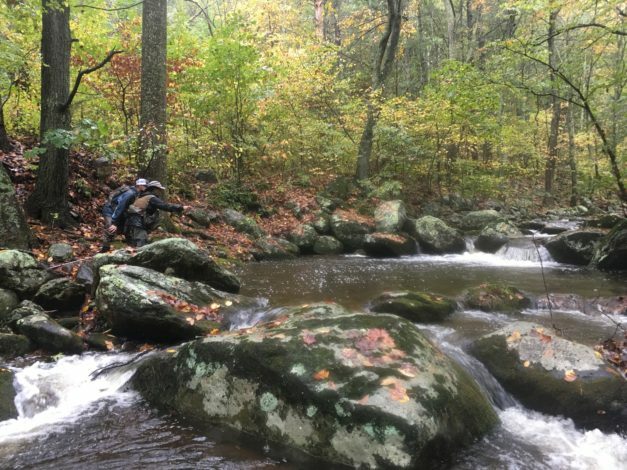 We talked that night and decided we’d give Seneca Creek a rest, not wanting to stress the small brookies that might be hiding in any water they could. 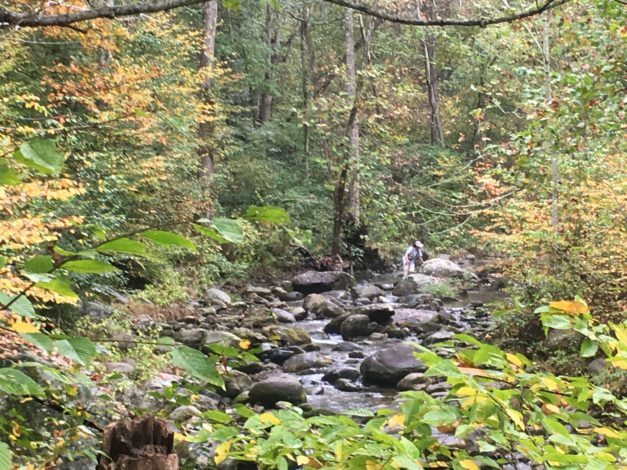 The next day, we went over the mountain on Smoke Hole Road to fish the South Branch of the Potomac, which we’d heard had some water in it. We fished near Eagle Rocks in a beautiful fall setting. We hooked into some creek chubs on dry flies, so, the fishing was fun. As we headed back over the mountain to the SaraLinda, we came across a staging area full of firefighters. The road was still open, but was now being used as a basecamp for fighting the fire. Further along the road a light rain began to fall. As we rounded a corner, this incredible double rainbow appeared out of nowhere. It was so close we felt like we could touch it. While we found the fishing in West Virginia very challenging, we found the natural beauty of the state amazing. We had the pleasure of floating and wading the Kennebec River with Bob and had a blast chunking streamers to the banks, talking fishing, politics, conservation and history. His “Guide Talk” is full of insights and thought-provoking ideas. If you ever get to Maine, you must make sure to call Bob at Kennebec River Guides and prepare yourself for an incredible day. We’ll be going back as soon as we can to fish the Kennebec again, but also the Rapid and several others spots Bob highlighted during our time with him. His passion for native fish and the opportunity to fish with him for these special species is already pulling us to return. In the meantime, please enjoy Bob’s “Guide Talk” with us on the Kennebec.